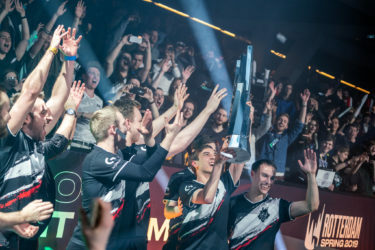 Riot Games and ESL have unveiled the full details for the 2019 League of Legends European Masters which will see the finals at Leicester Haymarket Theatre. The twenty participating teams from thirteen different European regions will go head-to-head for their share of a €150,000 prize pool. Starting April 8th-11th, the EU masters will play host to a Play-In Stage with the second place teams from Spain, France, UK, Germany, Balkans, Nordics and Poland regions competing for three available spots in the Group Stage. The three qualifying teams from the Play-In Stage will then join the thirteen first-place teams from each regional league in the Group Stage. The sixteen teams will be divided into four groups of four teams through a group draw. The teams will then compete in a single round robin competition, with the top two teams from each group moving on to the Knockout Stage. Finally, the Knockout Stage will take place from April 20th-21st with eight teams competing in a single elimination best-of-three bracket. The top four teams will then progress to the Live Finals on April 27th -28th at Leicester Haymarket Theatre in the UK. The teams taking part include UKLC representatives Diabolus Esports and Fnatic Rising, as well as, previous EU Masters winners MAD Lions and newbies Splyce Vipers, who are representing the Spanish league. Additionally, The Premier Tour (Germany, Austria, Switzerland) teams include SK Gaming Prime who will compete in the Play-In Stage and BIG who will go straight to the Group Stage. Last years tournament saw Origen, complete with an impressive line-up of players, take home the EU masters trophy. Their roster included veteran Henrik “Froggen” Hansen and legendary Korean jungler Choi “inSec” In-seok. 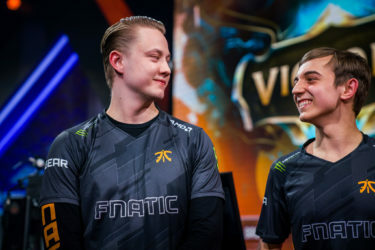 Additionally, they had Konstantinos “FORG1VEN” Tzortziou, Ki “Expect” Daehan and Jesse “Jesiz” Le who had all spent time in the top European league. The EU Masters kicks off with the first set of play-ins live on April 8th at 4PM GMT on Twitch TV.